The first five people to sign up for the Little Women sessions will receive an 11x14 canvas valued at $150!! Being a ‘tween’ can be a tough age. You aren’t a child, you want to be grown up, but you also want to play like a little kid sometimes! I remember well those years. Often feeling awkward in my own skin. Babies are so new and exciting that we have tons of images of them! And toddlers are still so cute and chubby. They say the sweetest and most hilarious things. But those tween years are often forgotten. I'm making it my personal mission to capture those lost preteen years. The goal is to help tweens look and feel beautiful and have unshakable confidence in themselves when they hit junior high. We want to capture the the personality of these girls and record the last stage of their childhood. 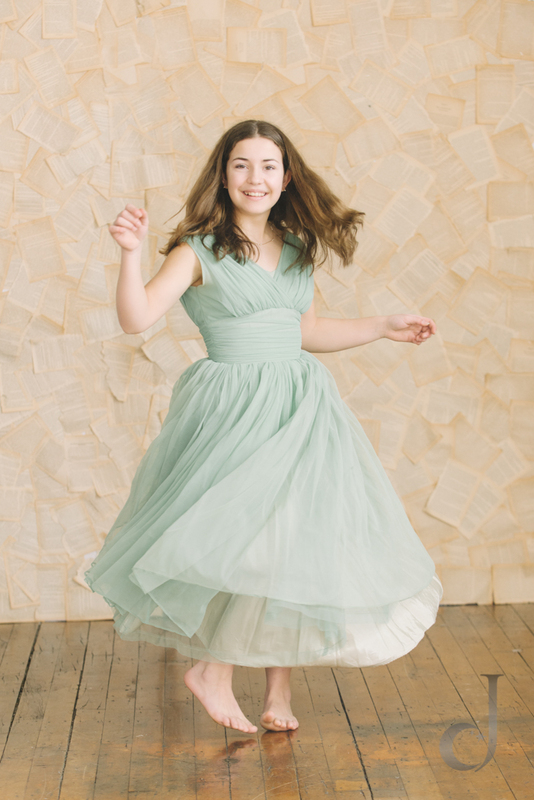 Imagine the impact a single beautiful image like the one here can do for your tweens self image. Female models for our photography project, ages 10-12. We will ask the model and their parents a few questions, then combine the text and photographs to create one impactful piece of art for promotional use like the one you see here. Please email us by Friday, April 8th if you are interested in having your child participate in this project, or if you would like to nominate a friend or family member that you think would be perfect for this. Please nominate people you think would enjoy the boutique experience we provide. The first five people to sign up for these sessions will get a complimentary $11x14 canvas valued at $150!! Here are some of my favorites images and quotes from her dad (The session was a surprise for mom's birthday!) from a recent Little Women session. This girl is so fiery and also sweet! She loved Harry Potter and brought a bunch of things to use for that theme. The velvet robe from my dress rack was the perfect addition! What is your girl into?! What you would you love to remember or remind her of 10 or 20 years from now? 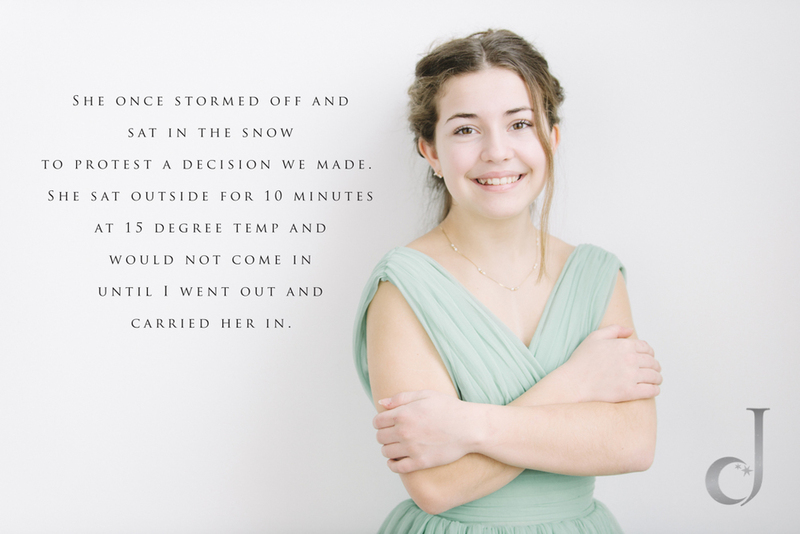 That she has always been as determined as dear Thalia below, when she stormed out into the snow? These stories are what make up the fabric of our lives, our history. I so adore hearing them and meeting these girls. Call me to save your spot today!